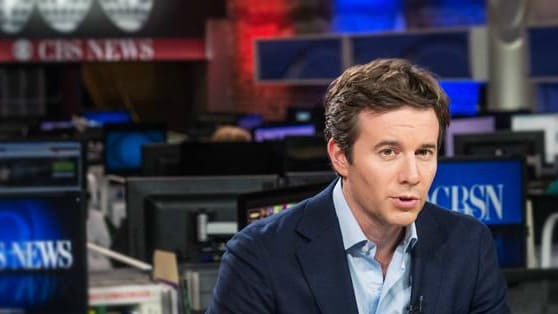 Elevating Jeff Glor to anchor the CBS Evening News represents both a youth movement and a wise decision to go in-house rather than throw a lot of money at a “big name” from a rival network. Glor, a relative kid at the age of 42, has been with CBS News for a decade and brings ample experience as a field reporter. On a yet to be announced date, he’ll succeed Anthony Mason, 61, who had been an interim replacement for the deposed Scott Pelley, 60. Glor’s boyish good looks and thick head of hair are almost a match for ABC World News Tonight anchor David Muir, who will turn 44 on Nov. 8th. NBC Nightly News anchor Lester Holt is now the runaway oldster of this trio at age 58. “Jeff is a thoughtful, probing journalist with the versatility to anchor in any circumstances -- from daily reporting to the most significant events of our time,” CBS News president David Rhodes said in a statement. Big, showy investments in outside “talent” traditionally have not gone well for CBS, which has tried and failed over the years with the likes of Connie Chung, Bryant Gumbel and most notably, Katie Couric. Glor will be comparatively cost-efficient while also coming up through the ranks rather than blowing in and raising resentments. News networks historically have been far better off grooming their own stars from within. The three broadcast network evening newscasts have been scoffed at as “dinosaurs” by some. But they individually still draw larger audiences than the great majority of prime-time entertainment shows on either broadcast or cable outlets. In the most recent week, ABC led the way with 8.254 million total viewers for World News Tonight, followed by NBC’s Nightly News (7.778 million) and the CBS Evening News (6.086 million). For the prime-time ratings week of Oct. 16-22, only CBS averaged more viewers per show than its flagship newscast. HBO continues to amass an imposing list of comedic talent for its live Nov. 18th Night of Too Many Stars: America Unites For Autism Programs. The latest additions include Chris Rock, Ben Stiller and Howie Mandel. They join the previously announced Adam Sandler, John Oliver, Louis C.K., Stephen Colbert and others. Jon Stewart again hosts.